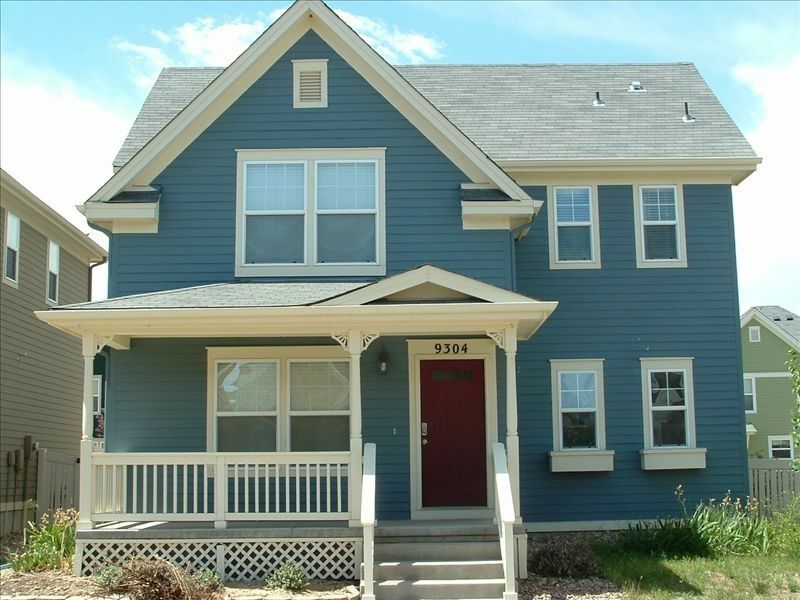 This Property Has Great Access to All that Denver Has to Offer. 15 Minutes from the Airport and Only 20 Minutes from Downtown Denver. Located in a Quiet Family Friendly Community with Breath-Taking Views of the Mountain Range & Incredible Sunsets. You Will Find This Home to Be Both Cozy and Elegant with its Country Decor and State of the Art Technology. The Master Bedroom is Equipped with a 26' LCD TV and Private Bath. Bedrooms 2 & 3 Are Each Equipped with 15' LCD TVs. the Living Room is Equipped with a 37' HDTV with Digital Cable. in Addition, the House is Equipped with Wireless High-Speed Internet Access. There is a Patio in Back Perfect for Grilling and the House is Equipped with its Own Gas Grill. This House Has Everything to Make it a Great 'Home Away from Home'. Even Though it is Close & Accessible to Everything, the Community Where it is Located Gives You a Great Small Town Feel. I have been in the vacation home rental business now for 8 years and have vacation homes in Denver, Phoenix, Charlotte, Tampa, and the Dominican Republic (total of 6 properties). My renters' experience is extremely important to me and I believe this is reflected in my reviews for each of my properties. All of my homes are built out with state of the art/high-end amenities. Small Local Grocery Store and Florist Located Within Development. Very comfortable warm feel in the house. I would definatly recommend to other people. Thanks for the review Edgar. Hope to hear from you again soon! Benn There! Done That! ink. Second year in a row staying here and it was terrific again! Looking forward to next Labor Day weekend! Thanks for the review Brendan. Glad to hear you all enjoyed your stay. Thanks for the review Diane. I'm glad to hear you enjoyed the place. This was a great house in a good location for our purposes. In between the airport and downtown Denver with easy access to freeways. House was clean and in good working order. We loved having breakfast on the back deck with bunnies visiting! Thanks for the review. I'm glad to hear you enjoyed your stay! Great location and comfortable stay. We stayed for a girls family trip. Home was very comfortable and the location was great for day trips to the mountain and day trips to the City. Would stay again. Thanks for the review Linda! Glad to hear you all enjoyed the place.